In 2012, the aggressive and persistent actions by central banks and other authorities worldwide served to maintain an unfavorable market environment that began in 2009 for most trend following systematic programs. Many short, medium and long-term trend following CTAs, as well as other trend following hedge fund strategies performed poorly... While these indexes all reported losses for the second year in a row, the S&P500's climb (+13.4%) continued through year end. Although markets for hedge funds generally were better than for CTAs,... the HFRX Global Hedge Fund Index rose only 3.5% in 2012...the Newedge Trend Following CTA Sub-Index is down 5.89% since the bottom of the financial crisis in March 2009. This performance contrasts sharply with longer term numbers, particularly in the CTA space. Since 1980, as measured by the Barclay Hedge Btop50 Index of CTAs, managed futures have returned three times that of the S&P500, approximately 32 times an initial investment vs. 11times an original investment for the S&P 500. And in 2008 the S&P was down 45% while the Btop50 was up 14%. A lot of investors follow trends using moving averages, Bolinger bands, charting, range breakouts, candle sticks or other techniques and have made good money in the past according to Michael Covel in his book The Little Book of Trading: Trend Following Strategy for Big Winnings. 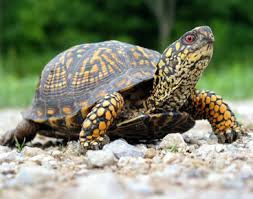 Trend following traders were first called turtles in the 1980s. A couple of economists have tried to test the efficacy of trend following and confirmed that it does offer an advantage – “Two centuries of trend following,” by several authors at Capital Fund Management and “A Century of Evidence on Trend-Following Investing,” by AQR Capital Management. Financial economics calls trend following momentum investing, which is the idea that individual stocks or markets tend to trend. Eugene Fama and Kenneth French added momentum to their Capital Asset Pricing Model, which already included investing in value and small stocks as market beating strategies (See Financial Bull Riding p. 20). But catching a trend and riding the wave is the least of the trader’s worries according to Covel. Money management is even more essential. Money management involves being diversified while keeping the positions in each market close to the same in terms of the potential losses. Traders calculate losses by using trailing stops, prices at which their broker will automatically sell the contract and limit the trader’s losses. For example, if the trader’s potential loss in FX is $1,000 and the loss in pork bellies is $100, Covel advises the trader to launch ten times the number of pork belly contracts as FX contracts. Leaders don’t forget that investing is a betting game. Investing is a form of gambling: it is betting (p. 98). While gambling is truly an exercise in random events, markets are not, and that’s why trend following works as well as it does. The stock and bond markets follow corporate profits, which in turn follow the business cycle. Markets swing wildly because investors have varied and conflicting expectations about where profits are headed, not because they are irrational or emotional, nor because they are driven by fear and greed or because a random number generator creates market prices. Mulvaney’s trend trading is profitable on 54 to 55 percent of days, but on only 25 percent of trades. Obviously, those 25 percent of trades are more profitable than the 75 percent of trades that are losers. Appendix B in Little Book of Trading has the monthly trading results for seven trend following money managers over several years each. The worst losses came in transition years during which the bear turned bull or the bear ate the bull. The strongest gains came after those inflection points, whether in bull or bear markets. This post was getting too long so I broke it into two parts and will finish next week with specifics on how the ABCT can help trend following investors.